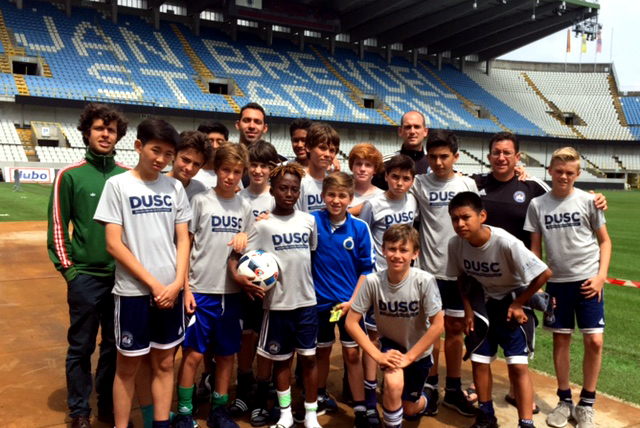 Players from the boys DUSC 2004, 2003 and 2002 age groups combined for a-once-in-a-lifetime international experience this summer in Europe. The trip included stops at some of the top youth clubs in Europe, including Club Brugge and RSC Anderlecht, along with training from youth coaches of the the Royal Belgium Football Association (RBFA). They competed in competitive matches and had a chance to see live games in France during the European Championships, most notably the epic quarterfinal between Wales and Belgium. 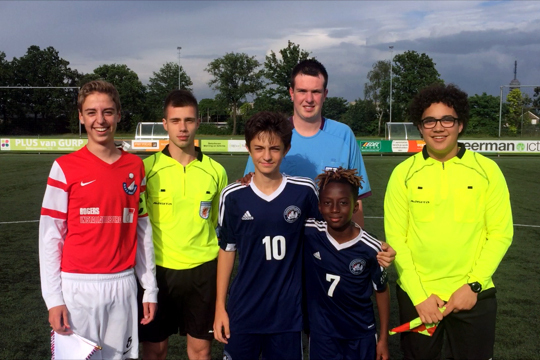 I really enjoyed going to Belgium and playing against local teams. I think it was a great experience for me and for all the other players who went on the trip. I thought that it was a lot of fun to meet some of the younger DUSC players and play with them. I liked the training sessions. 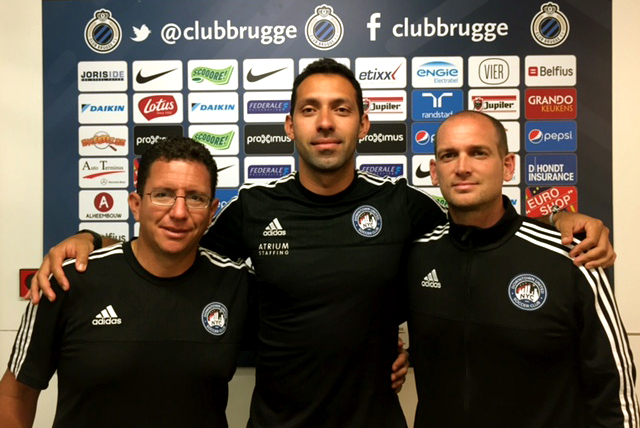 It was interesting to see the difference between how DUSC coaches and Belgian coaches coach. My favorite part of the trip was playing in the games. The games were entertaining because it was cool to see how club teams in Belgium play; actually, our third game was against a Dutch team. One of my most memorable moments during the trip was in our second game and we were losing 2–0, and then I scored and then later assisted a goal to put our team back at 2–2. Another memorable moment was when we went to the Euro 2016 quarterfinal Belgium v. Wales game in Lille, France. We saw a really nice goal by Radja Nainggolan, maybe one of the best goals of the tournament. The atmosphere at the game was a lot of fun and the game was one of the best. Seeing players like Gareth Bale live was very impressive. Our bus had a flat tire before we left the hotel, but luckily we still made it on time. Overall I loved the trip and I hope that I will be able to go on another trip like this one.